Editions of Ten at Corduroy! Very excited to be back at Corduroy in September alongside a humbling lineup of other folks working in print. 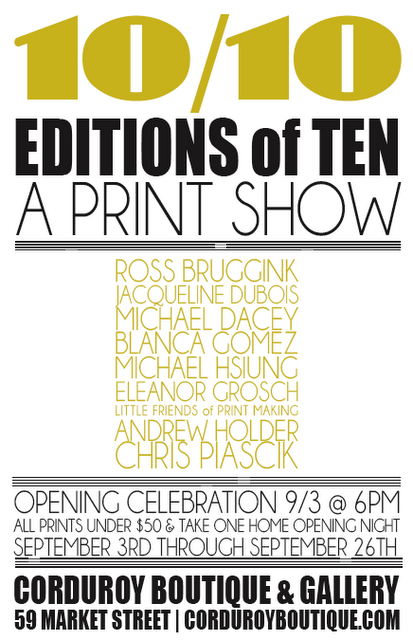 I’ll be showing two new wood type compositions (editions of 10) available exclusively through the gallery. Chris and I will both be up in Portland for the opening on September 3rd, stoked to meet some of the other artists in the show and do some exploring over the weekend. First Friday in Portland is a blast so come on up!